One of Arsenal new signing has confirmed that he will be joining the club for preseason next week to prepare for the long 2018-19 season. The Gunners, after the departure of Arsene Wenger who managed them for 22 years, appointed Unai Emery who has had a fairly excellent recruitment in this transfer window. The club have witnessed the acquisition of some quality players which include Bernd Leno, Sokratis Papastathopoulos, Stephan Lichtsteiner and Lucas Torreira. Torreira is yet to join the team for preseason due to his participation in the world Cup with Uruguay. He completed his signature to Arsenal after Uruguay were eliminated from the competition in the latter stages hence his extended holiday. Reports are now out claiming that the Uruguayan will meet his team mates for the first time when he joins them next week. 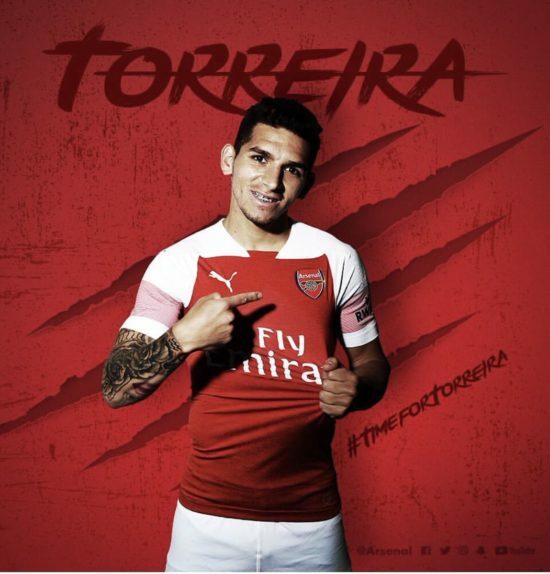 Lucas Torreira, 25, was recruited from Sampdoria for a fee of £26.5 million. His versatility, vision and passing range has been praised by analyst and fans. His performance at the World Cup have also been applauded in some quarters. His capture will see Arsenal become less predictable, direct and energetic. Unai Emery’s recruitment drive will immensely be critiqued when the season starts for them against Manchester City next month.